What does Wanderlust have to do with IBM Research? This best selling book by Danielle Steel in 1986 has a title that broadly describes the human desire to explore, learn unfamiliar cultures, and tread the unknown. The premise of the book itself is to follow a woman traveling from America to China, Germany, England and North Africa. 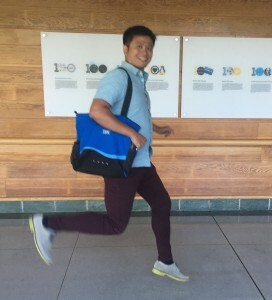 Guang-jie Ren is the leader of the Mobile Research group at IBM Research – Almaden. 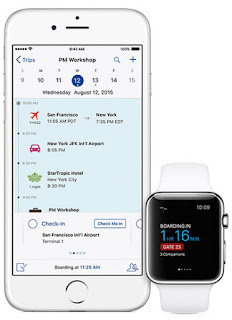 When it comes to wanderlust for work, IBM enterprise researchers, in partnership with Apple, created an integrated suite of mobile eTraveler apps designed to streamline business travel. Combining various data sources like airports, airlines, crowdsourced travel reviews, personal information and learned travel behaviors, these apps help business travelers accelerate trip approvals, plan flights based on prior transactions, pick a hotel based on traveler tips, keep track of travel events, get connected with colleagues, and be prepared with client intelligence, using the digital briefcase function accessible in the cloud. Understanding the relationship between travel activities and business outcomes led Ren and his team to prioritize a few key differentiators for the mobile travel apps they developed in partnership with Apple: synchronization across approval processes (pre-travel), mobile-optimization (taking into account smaller screen size, software platform and embedded sensors), and personalization (using existing and trending data to cater to the needs of the individual traveler). Once on the road, business travelers can access Travel Track app to keep them aware and ahead of upcoming to-dos, status updates and major disruptions. The app also connects colleagues who attend the same meetings, fly the same routes, or stay at nearby hotels. Read more about IBM eTraveler project, here. For questions, contact Guang-Jie on LinkedIn.